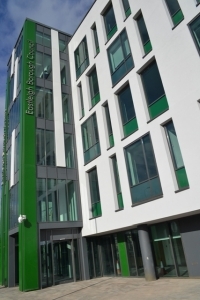 Eastleigh Borough Council is the near neighbour of our Hampshire office. It is a small local authority which wraps around the eastern side of Southampton. It is quite varied from the Victorian railway town of Eastleigh in the north down to the yachting village of Hamble-Le-Rice in the south. It also incorporates among other things Southampton International Airport, the sprawling retail parks and suburbs of Hedge End, the Rose Bowl (Hampshire County Cricket Ground) and Netley Abbey a ruined medieval Cistercian monastery. Development Plan: Eastleigh has yet to adopt a Core Strategy. The Core Strategy (now called the Local Plan again) has reached the pre-submission consultation stage. It is currently in a state of limbo whilst issues around housing sites and transport are reconsidered. For the time the development plan is the saved policies of an out-of-date Local Plan adopted in 2006. Pre-application advice: Eastleigh charges for this service except for householder proposals. Fees are in four tiers dependent upon the scale of the proposal – from £190 up to £1470. Call us for advice on whether this service is worthwhile in your case. Affordable Housing: 20% affordable housing to be provided on all sites capable of accommodating 5-14 dwellings; 35% on sites capable of accommodating 15 or more dwellings. Open Space – sums ranging from £1,600 for a one bed dwelling up to about £3,800. Community Infrastructure – sums ranging from £900 for a one-bed dwelling up to £2,100. Transport – part of the Hampshire-wide Contributions Scheme. For new dwellings it is £1,980 for a one bedroom unit, £3,745 for a two or three bedroom unit and £5,457 for 4 or more bedrooms. They should take into account the number of traffic movements the previous use generates. Major schemes of 10 or more units may be required to make other contributions by negotiation.